Across the board, employers need to narrow their focus on compliance with federal health and retirement benefits regulations. Failure to do so will become increasingly costly as the DOL cracks down and levies fines of over $1 billion, per Elliot Dinkin of Cowden Associates. Elliot Dinkin, CEO of Cowden Associates, notes the importance of digital recordkeeping for employers. Over the past several years, the Department of Labor has increased its audit staff in order to conduct more investigations of employer compliance with the Employee Retirement Income Security Act (ERISA). As a result, fines levied by the Labor Department for ERISA violations have increased 72% from 2016 to 2017, resulting in $1.1 billion collected in 2017. Meanwhile, the Internal Revenue Service has started sending out letters to employers who may have violated the Affordable Care Act’s employer-shared responsibility provisions as far back as 2015.1 Elliot Dinkin, president and CEO of Cowden Associates, Inc., a specialist in risk management and compensation plans, says the government is cracking down and employers must step up and get this issue under control before they feel the burn financially. For employers, the risk of noncompliance is a major threat to their bottom line. For example, failure to provide a plan participant’s request for ERISA plan documentation within 30 days can result in a fine of $110 per day per request. If an employer has 50 requests that have been languishing on somebody’s desk for a month past the 30-day deadline, they could be looking at a penalty of $165,000. Dinkin notes that to come into (and demonstrate) compliance, employers and their advisors must take an accurate census of all full-time employees deemed eligible for benefits. Once the eligibility assessment is completed, advisors need to create an audit trail. In the event of an audit, the advisor must be able to demonstrate to the Labor Department and the IRS that all eligible employees were, in fact, offered minimum essential coverage as defined by the ACA. In addition to vigilance with regard to compliance and auditing, Dinkin recommends that recordkeeping be digital, and that—looking to the future—advisors employ predictive analytics software to anticipate insurance risks and market trends while developing employee benefits plans. This, he notes, will partially automate a now-cumbersome procedure, help prevent the company from falling back into non-compliance and, frequently, save money by facilitating a better understanding of the market. Beyond appropriate methods and technology, Dinkin contends that advisors need to make certain that a company’s approach to benefits management is tailored to its particular business plan and its needs. And business managers, for their part, need to make certain that they’ve found an advisor who understands those needs. Cowden Associates, Inc., headquartered in Pittsburgh, PA, was created in 2001 by the merger of Halliwell and Associates and MMC&P Spectrum Benefits, which was founded by Jere Cowden in 1986. 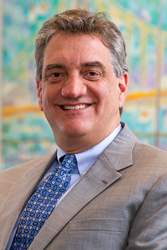 Currently led by President and CEO Elliot Dinkin, Cowden Associates specializes in helping corporate clients find the best solutions—both for the enterprise and its employees—with regard to compensation, healthcare benefits, retirement and pension issues, and Taft-Hartley fund consulting. Winning Workplaces and the Wall Street Journal have recognized Cowden Associates as a “Top Small Workplace,” a lifetime designation awarded to executives for their ability to build and lead savvy organizations. For more information, visit http://www.CowdenAssociates.com. 1. Calistri, Jerry, “Compliance with Benefit Plan Rules is More Important than Ever,” Scranton Times-Tribune, June 4, 2018. 2. Bolden-Barrett, Valerie, “Report: Many employers unprepared for 2018 open enrollment,” HR Dive, June 28, 2017.